The weather was mostly good over these two days and only in the final hour or so was there some drizzle. 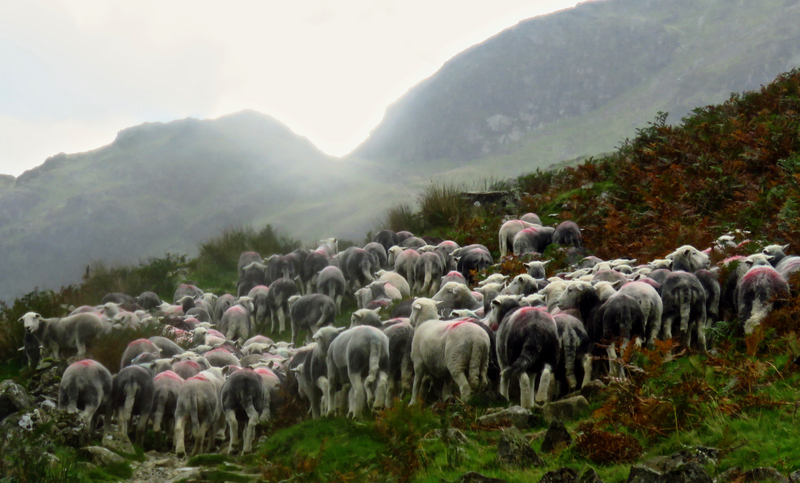 This came down while I descended, aching and exhausted, from Scarth Gap (the notch in the hillside above) to Buttermere, while these sheep all went up the other way. There is a shepherd and dog just out of shot to the left. I did get some shots of them all coming up towards me as well, but this is the best one. I was keen to get out for some exercise today. 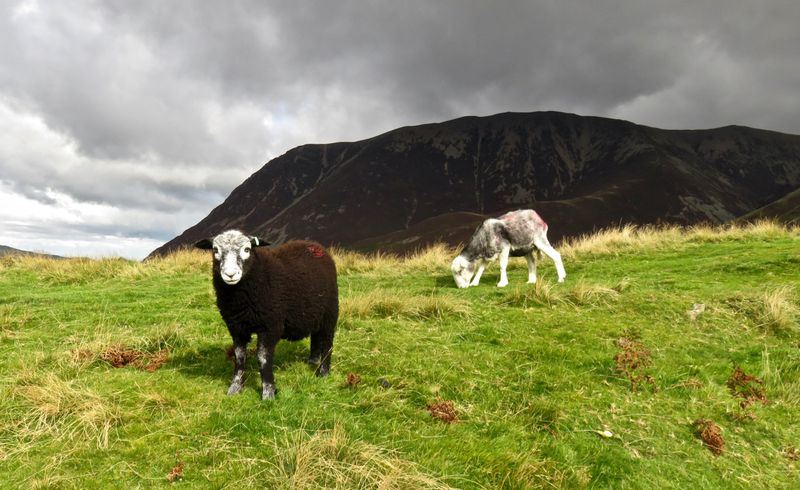 It seemed also that I had duties, previously unsuspected, as an object of worship for the sheep of Cumbria — on two separate occasions a flock of them followed me for some minutes. 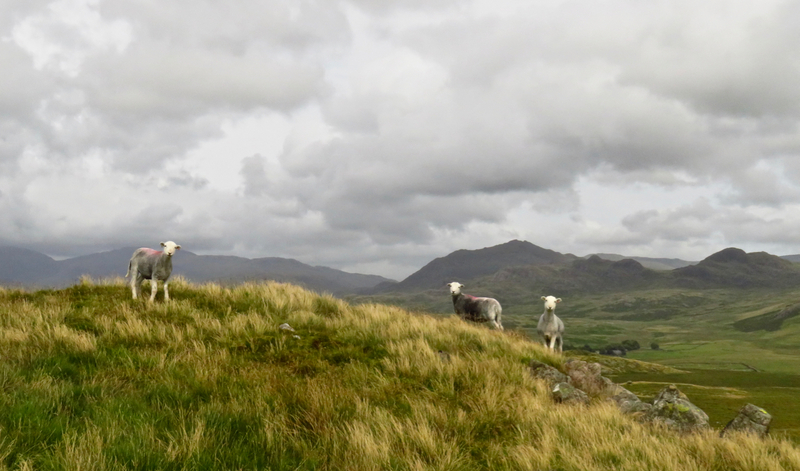 It was like a game of ‘Mr Wolf’: when I turned around and looked at them they stopped — looking (appropriately) sheepish — but then returned to follow in my footsteps when I walked on. I kept telling them I had nothing to give them. Strangely, I don’t think they understood. Wise words. I’ve been asking myself that for the last 2,344 days in fact. Back out into the mountains — for a long and rather difficult walk from Coniston to Eskdale. This shot was taken towards the end, by which time I had already done 12 miles and was feeling rather knackered. 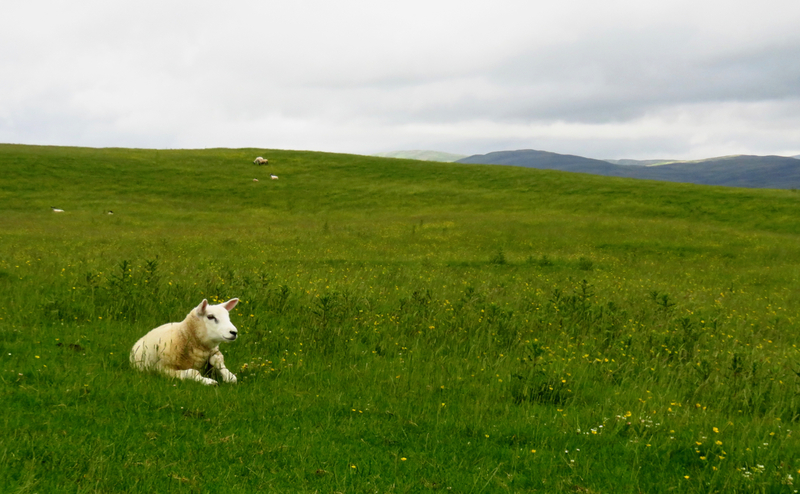 The sheep seen here probably wondered what I was doing out on their heaf. I was wondering this too, to some extent. 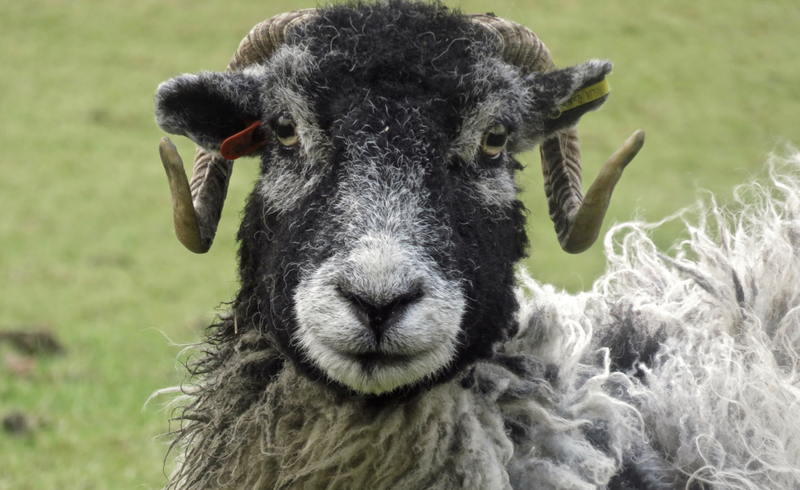 The weather may not have been all that great for us humans but I doubt a sheep judges their quality of life with respect to much more than the food spread out around them — and in that regard, this sheep clearly has things very fine indeed, going by the smile on its face. Taken on the very edge of the Lake District, the hill of Cunswick Scar, near Kendal. I worked Sunday and Monday (I have witnesses) so this was a walk day. 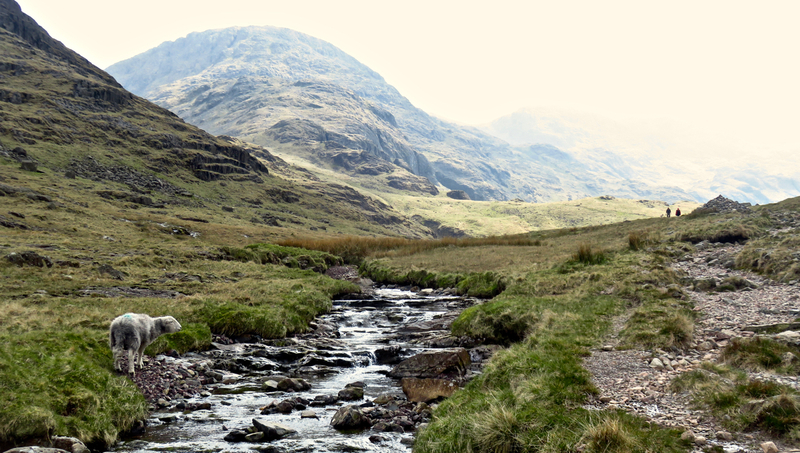 Destination, the well-known peak of Great Gable: pictured here, however, is Great End, rising above the stream of Styhead Gill which comes down from Sty Head, one of the major walkers’ crossroads of Lakeland. A very fine day, the sort that makes one glad one has a flexible job sometimes. 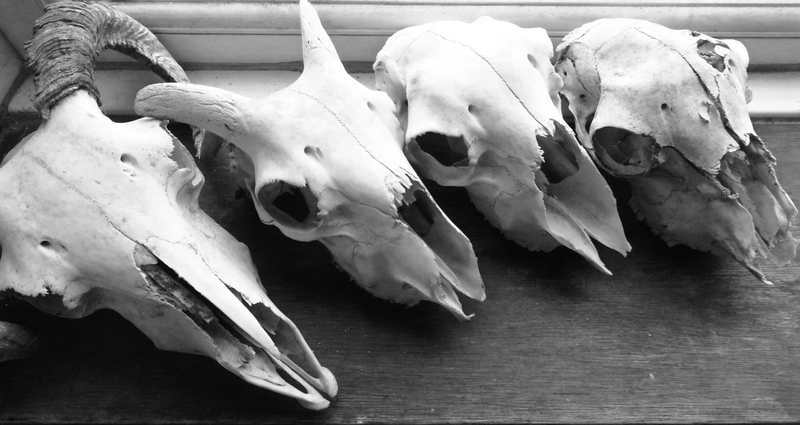 Our window sill, and indeed our house generally, contain more pieces of deceased sheep than most people would consider normal. 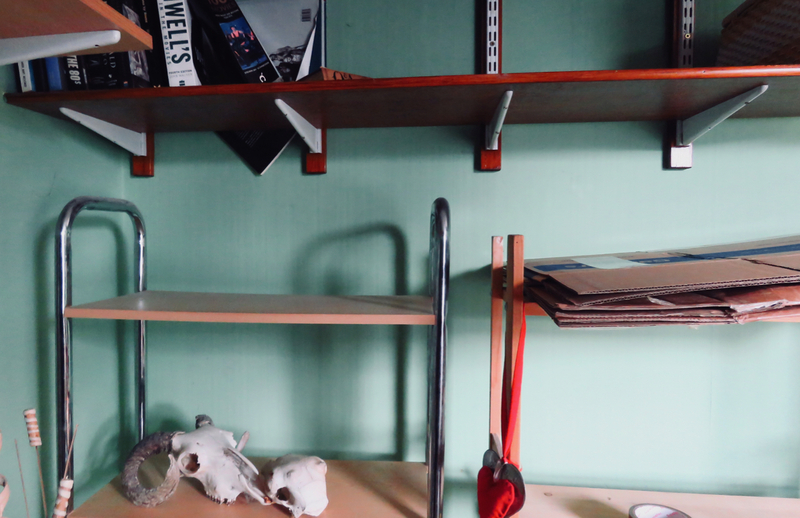 Souvenirs from a few Lakeland walks…. 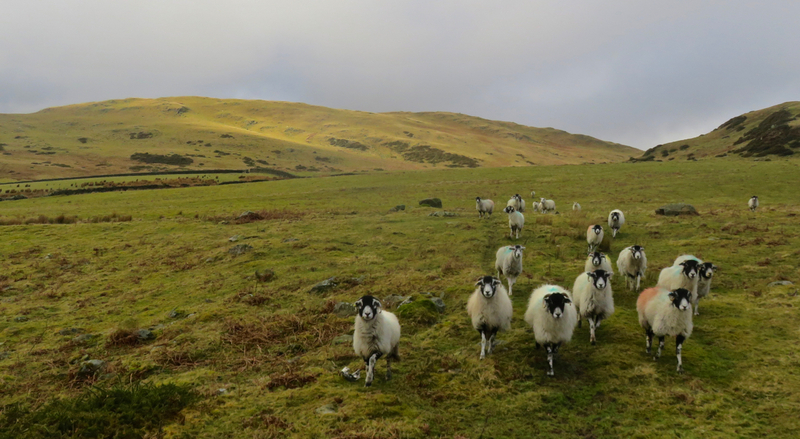 If out in the hills and in doubt about the photo, try the sheep group. I always feel these guys know something. But that’s probably just paranoia. Probably.